Jeans are a staple in any wardrobe, and thanks to an impressive sale going on right now, you can add a new pair to yours for over $50 off the original price. 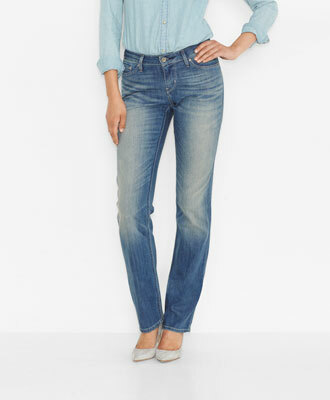 Jean icon Levi’s is selling the Supreme Curve Straight Jeans for women for $32.90 (regularly $88). These stretch midweight denim jeans have a straight leg. They’re made of 70% cotton, 28% polyester and 2% imported elastane. Sweetening that deal even more: Levi’s is offering an extra 50% off all styles on sale. Simply enter offer code “50EXTRA” at checkout. This coupon promotion ends at 11:59 p.m. Pacific time on Jan. 31. Shop this sale at Levi’s.